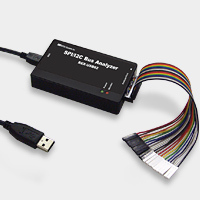 Run the SPI/I2C Analyzer on your PC. Easy to connect USB2.0 port. 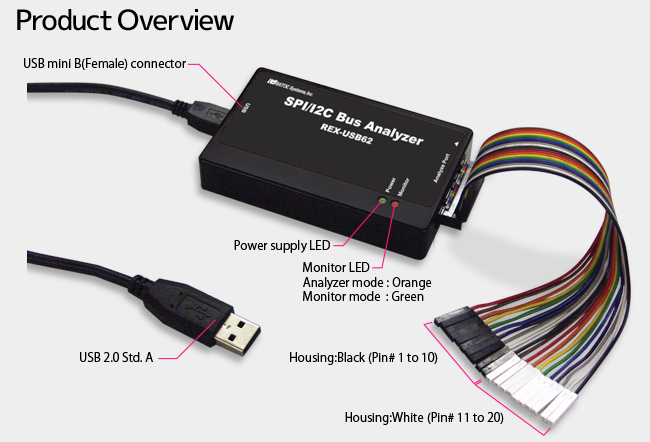 Capture the data on the SPI/I2C Bus. Can supply output power of up to 100mA. Supports input voltage from 1.8V to 5V. Works with USB Bus power. *Also works on 64bit version.